One of the key successes for SPEARity as a company is setting goals and plans to reach those goals. It doesn’t matter if it’s our business coaches, the executive coaches or the leadership trainers, everyone focuses on the goals. 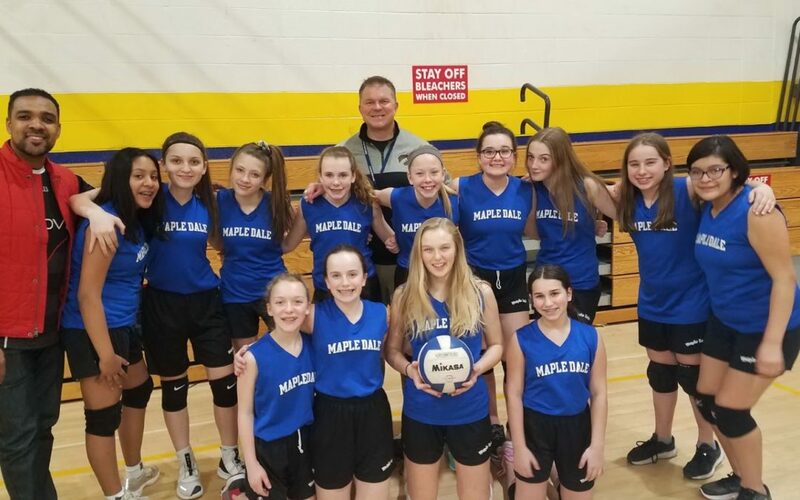 One of my goals was NOT coaching my daughter Kara’s volleyball team. I really wanted to take the extra time after coaching the boys basketball to focus on sales, development, and rebuilding our SPEARity App. Our last game was this past Thursday and I honestly wasn’t ready for it to be over. Yes, it was an uncomfortable completion. When we started the season, our girls weren’t very good. The ball would come their way and they would watch it drop in front of them (a sign of no confidence). Jason, the other coach dad, planned our practices at 7:00 am every Monday, Wednesday, Friday. This was brilliant in hindsight, but disconcerting initially. Because I’m old, I’m always up at that time, But, I like to take the morning to get my routine completed and head into the office. Due to our schedule, this wasn’t and option. To make matters worse (I use that term very generously), I was the Magic School Bus picking up players on the way to practice each morning. And just in case we were thinking of being complacent, we had to setup and break down the nets before and after practices. Our team lost our first five matches against other schools. Then, after a nail-biting win against a group of feisty 4th and 5th graders, we won five of our final six matches. The lone loss came from a school play versus volleyball conflict that removed half of our team. To top if all off, we actually swept our last six official games. The girls got really good from the same thing that worked in basketball. We structured practices to get the girls as many fundamentals repetitions as possible. Over time, it worked to perfection. So good, I didn’t want the season to end. Also, one of the girls asked if I would be coaching next season. When I said yes, she specified if it would be her team that I would be coaching. I reassured her that I would only coach her team. That totally made my year. From a business perspective, our business doubled year-over-year during this hectic quarter. We signed eight new deals and have record proposals on the horizon. Somehow, volunteering and working is producing the best results. I’m sure there’s a study to back this up, but anecdotal evidence is enough for me. I really looked forward to coaching the girls as much if not more than coaching executives. I’m not sure if you are volunteering or not, but I always advise our members to volunteer their time if possible. You may learn something that you wouldn’t learn in your current profession. But most importantly, you may change someone’s life through a game-like volleyball!